Having its origin in Medieval Europe over 600 years ago, the Witch Ball has developed a fascinating body of legend and folklore about its magical properties and appropriate uses. Alternatively known as Spirit Balls, Fairy Orbs, Pond Balls, Good Luck Orbs, Gazing Balls, to its current common reference Tree of Life Globes. The common thread linking these beautiful handcrafted items is their ability to confer protection on their surrounding area from any evil spirit and negative energies or spells that might be cast by malevolent entities. Some legends say that a witch would see her reflection in the surface of the globe and be frightened away. Other interpretations say that witches and imps are mesmerized by the beautiful color patterns, and are drawn into the interior and along with any of their evil spells, are trapped for eternity. 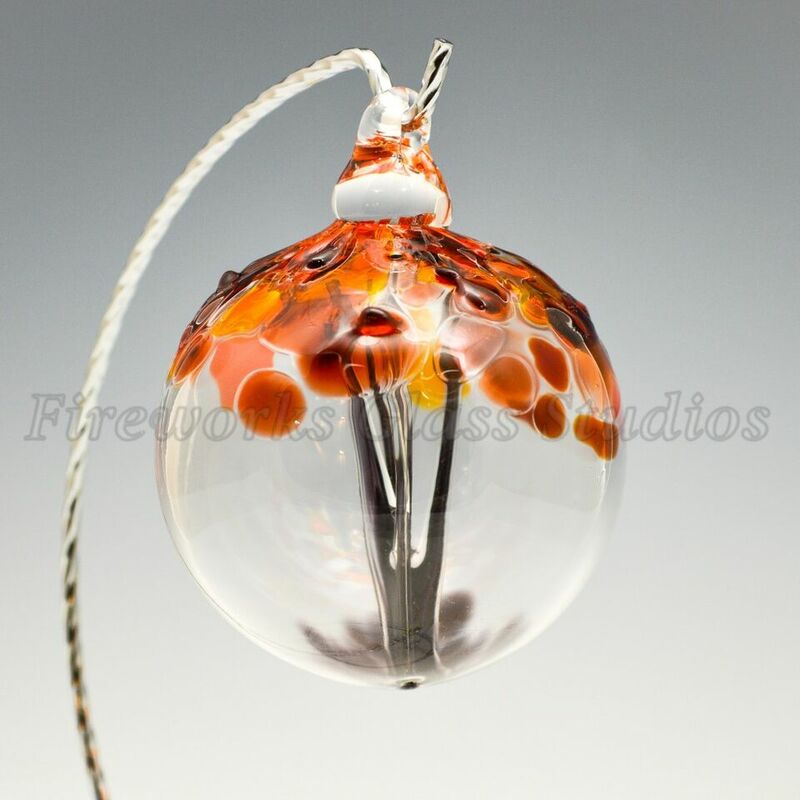 Here at Fireworks Glass, we like to think of these beautiful creations as a Tree of Life Globes. Representative of the beauty of life, nature and a wonderful spiritual enhancement for anyone's living space, whether inside your home or out. Rhonda Baker, our primary glass blower creating each unique piece, has developed techniques and color palletes that result in fascinating and charming glass. Whether you choose to give them as gifts or keep them for yourself, we hope you enjoy having them as much as we enjoyed creating them.